OVER. IT. This is how I was feeling about high school and my high schooler last week. I love him to death but seriously, I was over it. And I was sure that I was the only bad momma feeling this way. Until Friday night. Actually, let me back up to Thursday night. We are at the boys' football games, away games. The JV cheerleaders arrive and are getting ready for the game. Two of the cheerleaders walk through the stands. B stops them and starts taking pictures of one of the girls. I know this young lady is a friend of Sam's but B has never met her. She graciously smiles and poses for his photos. He uses her photo in his app obsession o' the day - Disney Side. Thankfully he made her into Snow White and not Jafar or Captain Jack Sparrow (which he did to other adults through out the night). She smiles and giggles some nervous laughter and goes on about her way. I was so touched by her kindness to B. It's not that the kindness was out of character for her, she's a wonderful young lady. It's just, who wants to be stopped by 8 year old paparazzi when you're trying to get ready to cheer? Back to Friday night, it was Homecoming and I was having a blast handing out pom poms for our church. The young lady's parents come by. I stop them and tell them about the photos and how sweet their daughter was to B. The mom breaks out into a huge smile "Thank you! This is such a God thing because we were just talking about how awful she is!" Her dad said, "We wondered if she was as mean to everyone else as she is to us!" We laughed about the struggles of freshmen. I told them how over Sambo I am. They were shocked, "He's so sweet, just a big teddy bear!" After our conversation ended and they went into the stadium I was left with this realization: Everybody is struggling. We are all so busy staring in our own dramatic movie of our life that we forget that other people are staring in theirs as well. 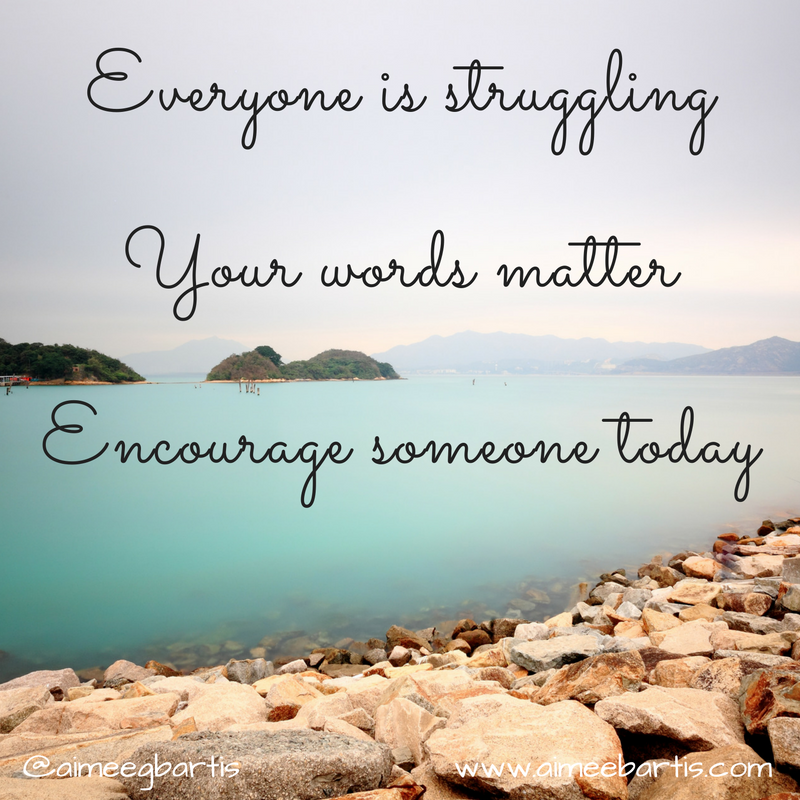 Your words matter to someone who is struggling. Your words can offer hope. But we don't always know who needs our words. You can't always tell when someone is desperately clinging to the last little bit of their rope. You never know the hope your encouraging comment will give to someone else. It was a little out of my comfort zone to talk to this mom. We aren't super close. But I wanted her to know how much I appreciated her daughter's kindness. And it turns out that she needed to hear my words as much as I needed to say them. 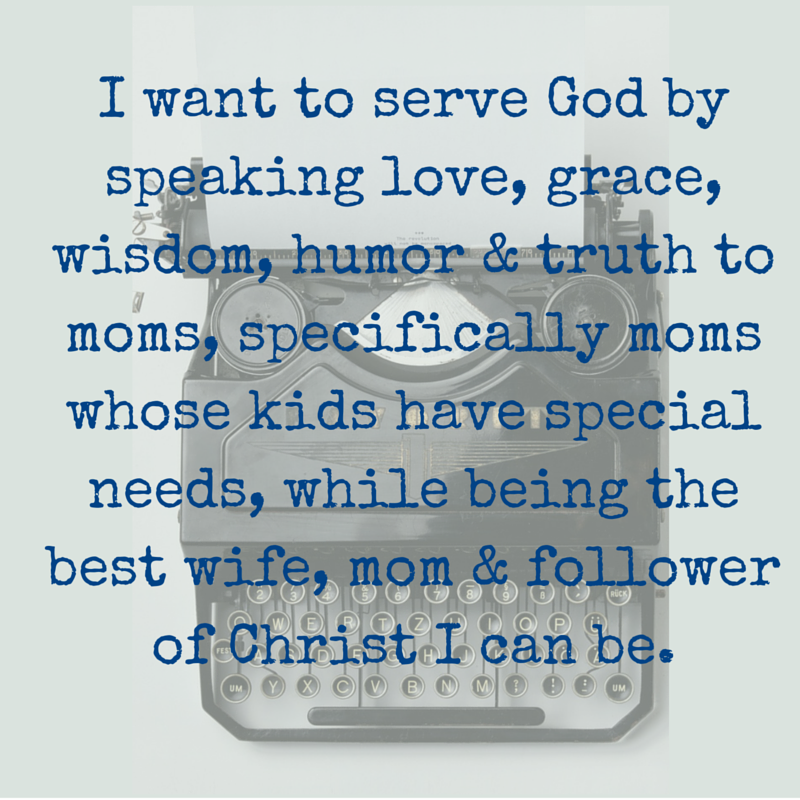 The flip side of speaking encouraging words is receiving them. For me, this is much harder. I have been known to reply "I'm glad someone does" to people who tell me they love my boys. I tend to blow off a nice comment, "oh they were just saying that." Of course they were saying that, they meant to say that! Try to receive comments with the same spirit you offer them. Today, step out of your comfort zone. 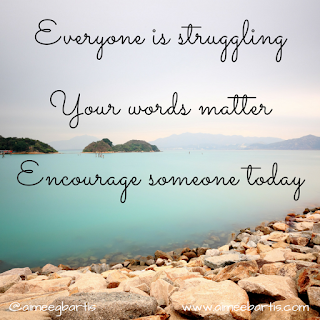 Give an encouraging word to someone, maybe even someone you don't normally talk to you. Allow God to use you and your words today.